Akhisar (Turkey) (AFP) - Eight former managers from the mine where Turkey's worst industrial disaster occurred in May 2014 appeared in court Wednesday on murder charges, with prosecutors demanding they spend the rest of their lives in jail. 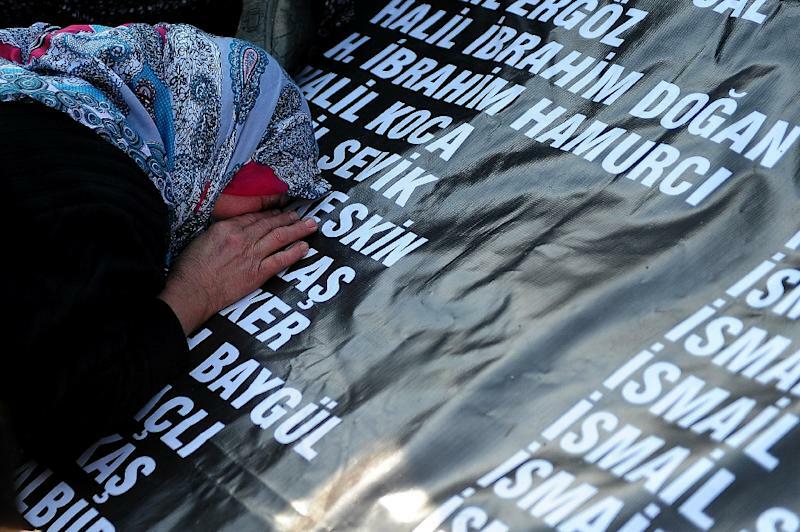 Three-hundred-and-one workers were killed in the disaster at the Soma coal mine in western Turkey that exposed horrendous safety shortcomings in the country's mining industry. A total of 45 suspects are on trial over the tragedy but eight former managers from the Soma Komur group that ran the mine have been accused of "killing with probable criminal intent" and face sentences of thousands of years each. The eight, who include former chief executive Can Gurkan and general manager Ramazan Dogru, were not brought to court on the first day of the trial on Monday for security reasons. However this infuriated the relatives of the victims and the judge rapidly adjourned the trial, ruling the eight should appear on Wednesday. The eight entered the court by the back door, protected by 250 members of the security forces, police said. Some 3,000 members of the security forces were on duty around the courthouse to ensure order. In his initial testimony read by a clerk, Gurkan said he could not be held responsible for the safety problems at the mine. "I am not an engineer, a technician or a workplace safety expert. I am just an executive and as I have no technical expertise I cannot be held responsible for the accident," he said. Prosecutors say the miners were killed after inhaling gas and toxic smoke from the fire which was caused when an abandoned pile of coal left next to an electrical transformer caught fire. Prosecutors in their indictment asked for 25 year sentences for each of the eight, multiplied 301 times for every victim. This would result in a total sentence for each of 7,525 years in prison. They also face three-year sentences for each of the more than 160 wounded. The terms of the indictment were confirmed at Wednesday's hearing. Disputing the conclusions of prosecutors over how the fire started, Gurkan said: "To date, I still have no idea why this accident happened. "As far as I know the likelihood of a fire was next to none. I believe it is sabotage." Gurkan defended his widely-pilloried conduct in the aftermath of the disaster, saying he did not go to the site because of the risk from "provocateurs". General manager Ramazan Dogru said the accident could not have been prevented but expressed deep remorse over the deaths of the miners. "Such accidents can happen in places that you cannot properly see and have no control over," he said. "I knew each miner who died. I am terribly sorry. I wish it was me who died instead." Shift leader Yasin Kurnaz, who also faces murder charges, said safety risks such as a fire and a roof cave-in had been ignored in the days leading up to the accident. He revealed there were no so-called "life rooms" for the miners to hide in if there was an emergency. The other 37 suspects also face hefty sentences on charges of homicide by negligence. 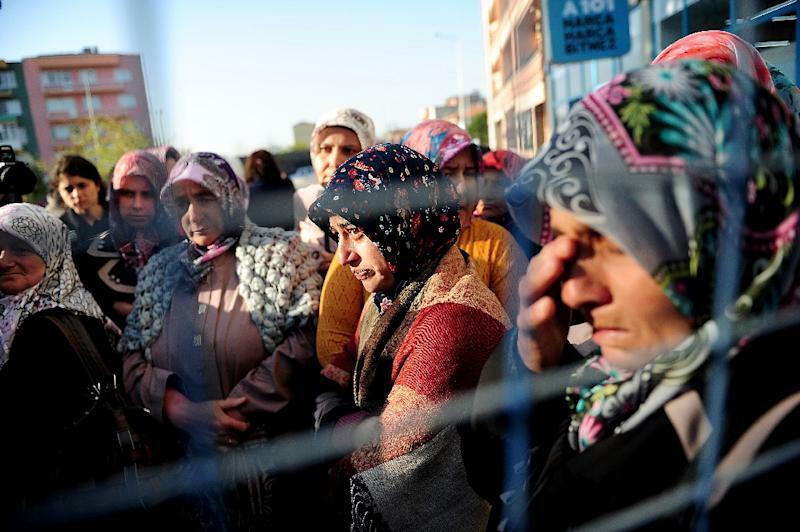 The trial is being heard around 50 kilometres (30 miles) from Soma in western Turkey by a court in the town of Akhisar specially created in a cultural centre to cope with the scale of the process. Relatives of the victims burst into tears in the courtroom as they came face-to-face for the first time with the accused. "My daughter was just three days old when her father died!" shouted one widow. "May Allah burn these sinners in hell for eternity," yelled another. 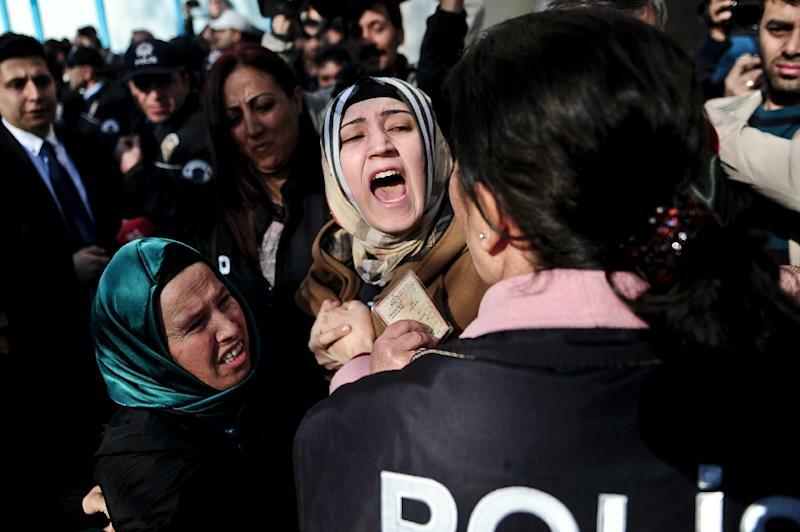 Two relatives fainted during the hearing, while the authorities prohibited taking water into the court for security reasons. The government is keeping a wary eye on the trial ahead of June 7 legislative elections after having been widely criticised for its conduct following the disaster. President Recep Tayyip Erdogan had notoriously appeared to play down the tragedy, saying accidents are in the nature of the business" and comparing it to accidents in industrial revolution-era Britain.